A compote traditionally consists of fruit stewed in water with sugar and spices to create a dense fruity mixture served either warm or cold. It can be served with cream or yoghurt or used as an accompaniment to a dessert. 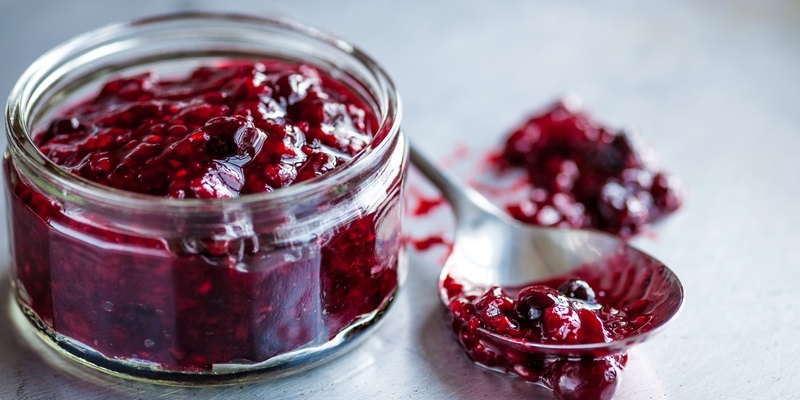 These days compotes range from sweet versions flavoured with fruit peel and cinnamon, to savoury ones such as beetroot or red pepper compote served with a main course.